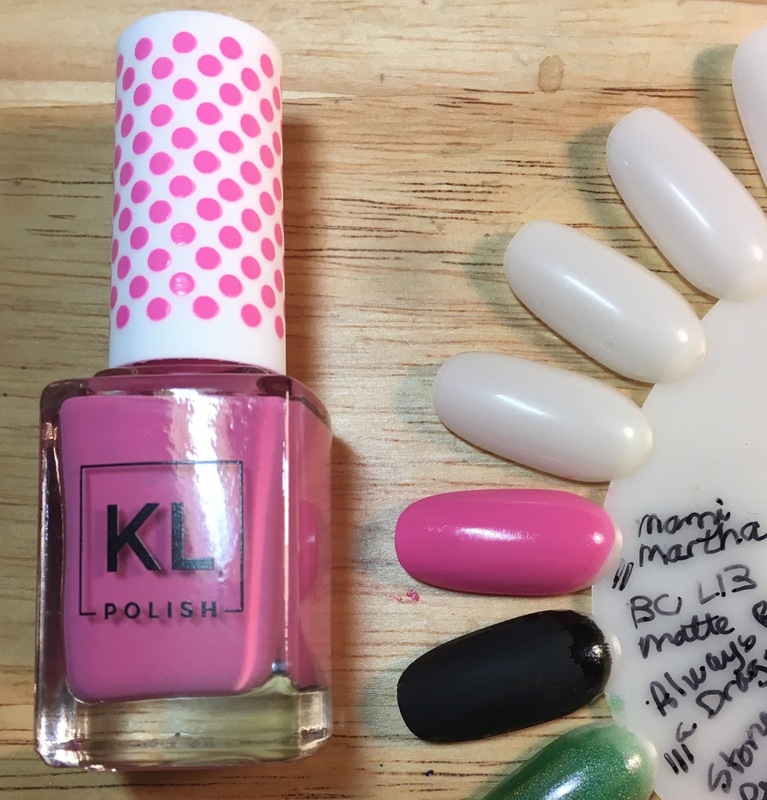 This is a limited-edition polish that has been available the last two years for breast cancer awareness month. (I think that Mami Martha is one of Kathleen's grandmothers.) It's no longer showing up on KL Polish's website, so it may not be available until next October, if the pattern holds. I didn't get this last year, but this year I thought it looked very pretty and fresh and decided to go ahead and get it this time.